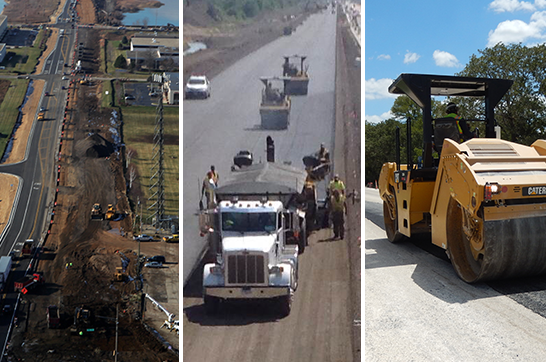 One of the largest heavy highway asphalt paving and excavating contractors in suburban Chicago, with newly expanded operations in Texas, Curran Contracting Company is the go-to partner for projects of all sizes and scopes, public or private. With hot mix asphalt plants throughout the region, Curran Contracting is fully equipped to offer superior asphalt paving materials and aggregates. The team is highly trained and experienced in project management, excavation and demolition, underground utilities, site remediation, construction materials, infrastructure improvements, clean construction and demolition debris.